All kinds of food for all kinds of people. 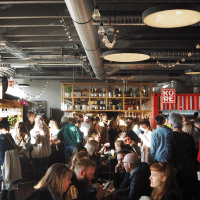 Hlemmur Food Hall is inspired by the great European food halls. Here, 10 ambitious vendors provide a sample of the best food Iceland has to offer.